Living life colorfully, one DIY at a time. When I was a young kid, I was blown away one day when my dad brought home a little toy doctor kit, little candies (aka pills – it was the 80’s, okay?) and flashcards for me. Not an earth shattering story, right? Except, my parents NEVER just brought home gifts for no reason, so it’s a memory that firmly planted itself in my mind. Only recently, (many, many years later)I learned the rest of the story. 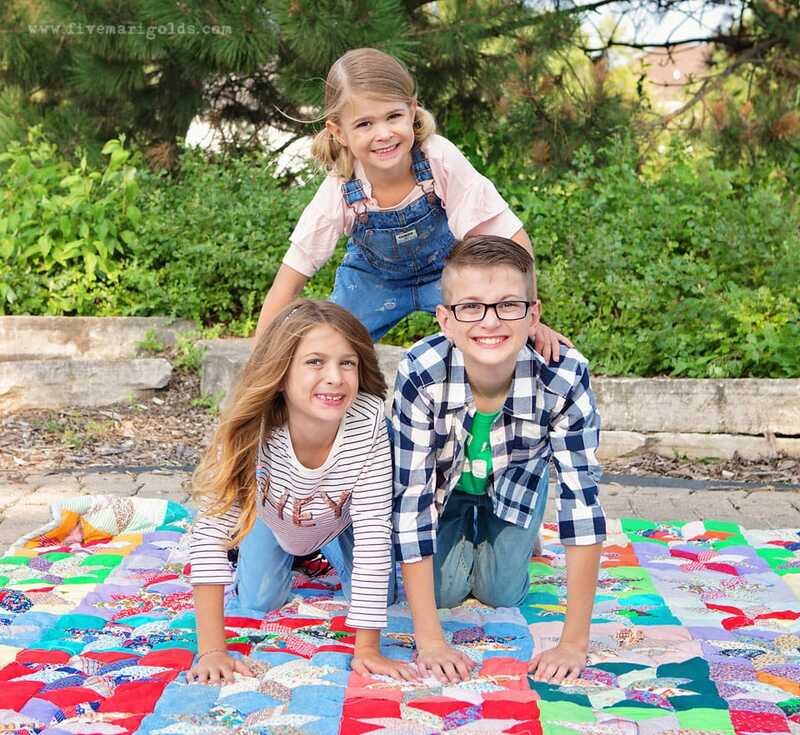 The Best Advice I Can Give My Kids + Giveaway! This post is sponsored by Everywhere Agency on behalf of OshKosh B’gosh; however, all thoughts and opinions expressed are my own. T-minus 1o days until school starts in our area, and we are not ready mentally…or emotionally…at all. I’m not that mom with the glass of champagne at the first day of school bus stop. I’ll miss the easy mornings of summer and the lack of homework and activities in the afternoon. Life is crazy enough with all of that, but what can you do? For starters, we can prepare ourselves with a good old fashioned back to school countdown banner. This post is sponsored by the National Honey Board, however the content and opinions expressed are my own. Last week my baby started Pre-Kindergarten. Time is going fast, and I’m determined to savor these golden moments I still have with her at home with some special, 1:1 time.. Since she is getting to be such a big girl, I thought it would be fun to have a special tea party with her, letting her make a new recipe, a Honey Bear after school snack, all by herself. Then, this weekend,we were especially excited to have guests who just started bee keeping. We enjoyed all their stories and pictures, and even got one of their first bottles of honey as a hostess gift. As a result, the kids are pretty sure we should start beekeeping, too (um, no.). 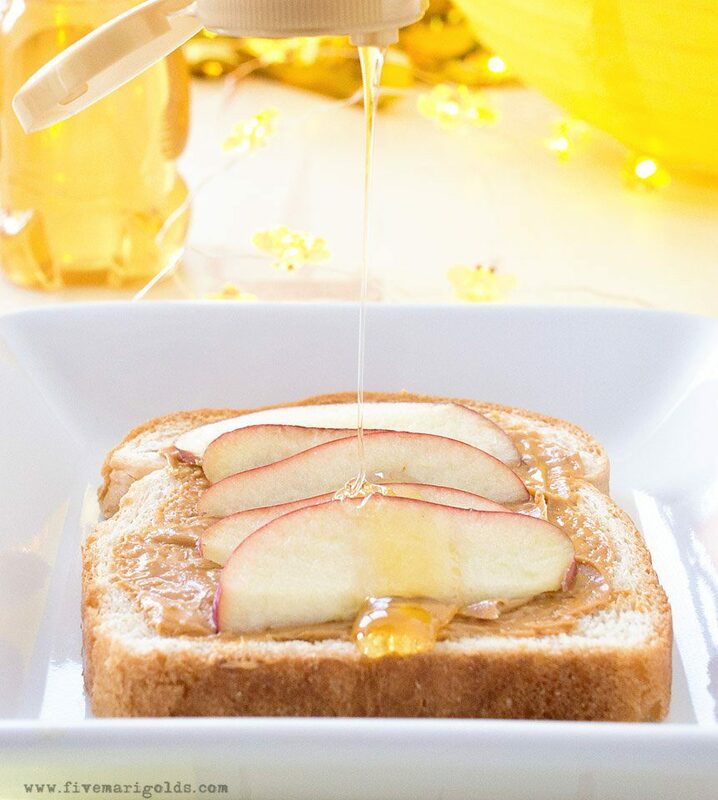 So, it felt especially serendipitous when I received a golden box of goodies from the National Honey Board to inspire us to celebrate National Honey Month with some honey, beautiful party decorations and easy, kid-friendly recipes. It’s hard to believe in just a week the kids will be back to school. I mean, WHY does summer break have to go so fast? 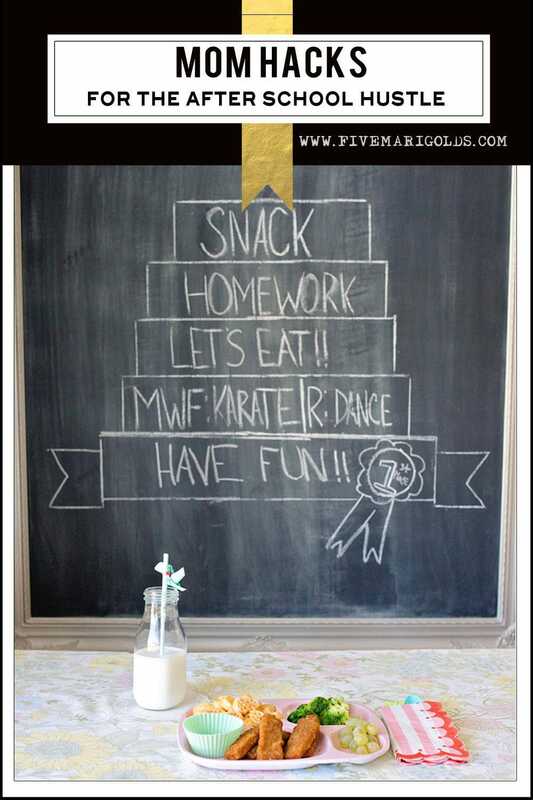 If you’ve been following my blog for awhile, you know I love a good lunchbox note! This year, I’ve created my favorite, ever: Secret Message Lunchbox Notes! Things around here have been a little insane. With the kids back at school and more activities than ever, we were legit struggling there for awhile. Between homework, extracurricular activities and informational school meetings, we had to get organized, and fast. 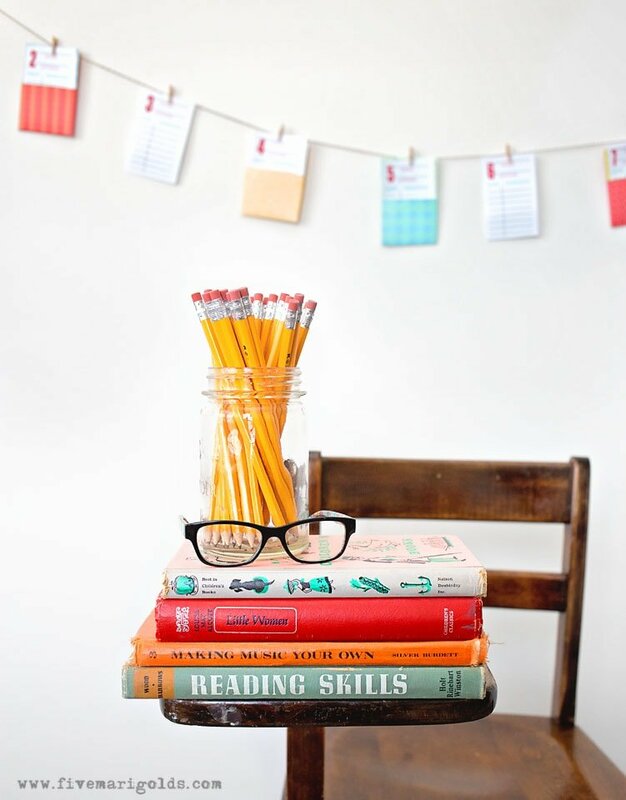 Today I’m sharing some of my favorite mom hacks for school nights. 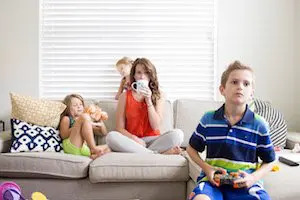 These tips help keep my family on track so we have more time to do the things we love. With a little organization and go-to meals like Kidfresh, we’re taking back our weeknights. Get 40% off Kidfresh at Target with Cartwheel through 9/24/16. Details here. 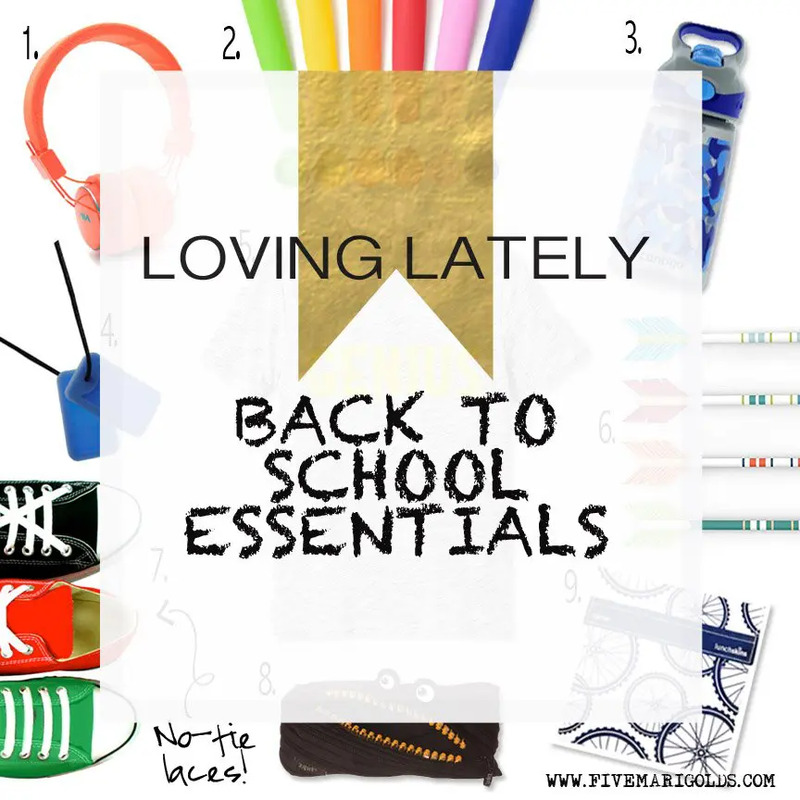 Since I’m on a roll about all-things BTS lately, I decided to share a few of my back to school must haves. These are items I’ve found that work especially well and make my life easier…or just more attractive :). You guys, I’m going way (+ way, way) outside of my comfort zone today with my first ever guest post AND first ever vlog, over at Jen Snyder Photo. 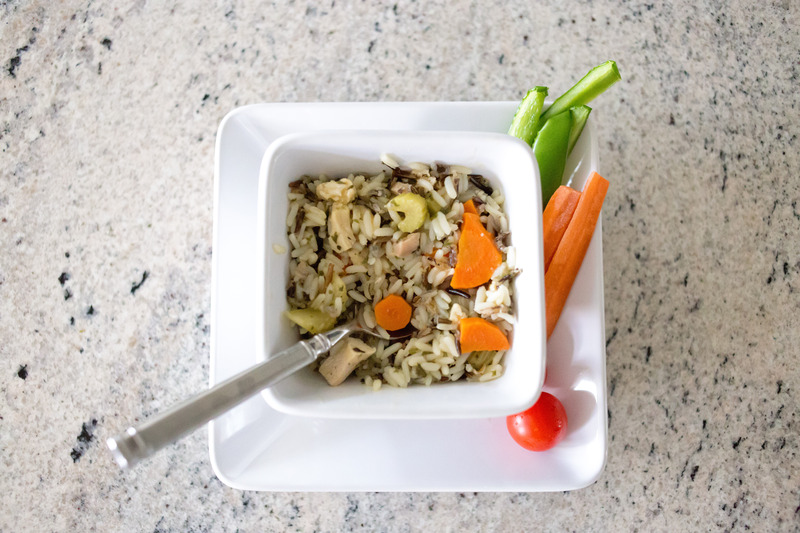 You’re going to want to hop over to her beautiful blog check out one of my family’s very favorite recipes, Easy Crockpot Chicken and Wild Rice Soup. Thanks to my girlfriends who tirelessly pumped their kids for their best jokes to help create this fun collection. Happy back to school season, fellow moms! We can do this! 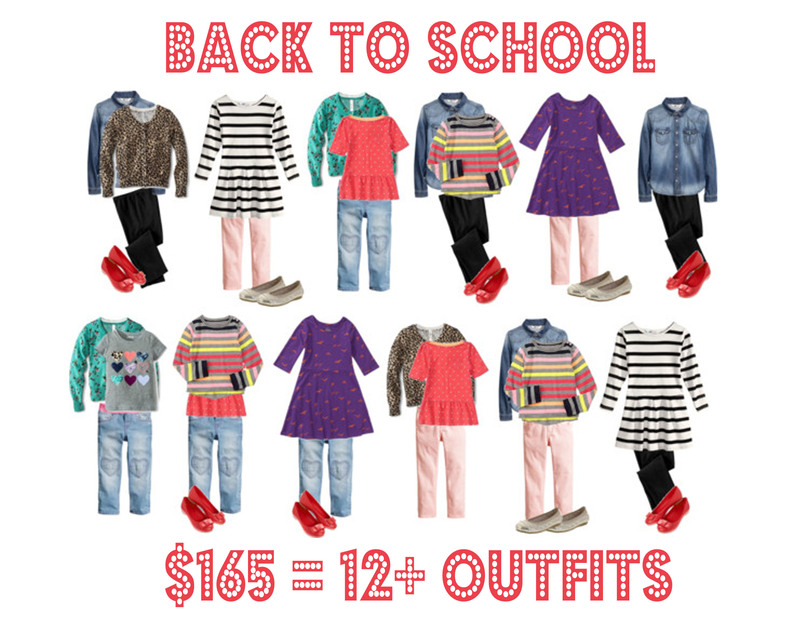 Every year I try my best to create an inexpensive capsule wardrobe for back to school on a budget – which for me is $150 or less. I’m sharing what I’ve pulled together for my big boy this year in the hopes that it will inspire you to shop some stylish looks for your little big(ish) guy, for less. Is it just me or are summer breaks getting shorter and shorter? 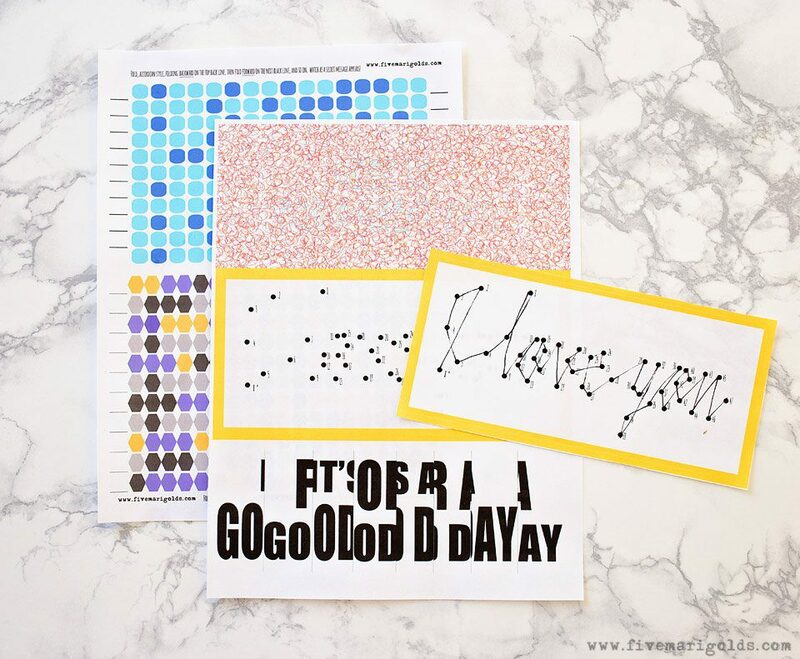 My kiddos are dreading going back to school in just a few weeks, but we’re having fun gearing up with new school supplies and goodies, including a newly designed set of fill in the blank lunchbox notes. I love tucking a fun lunchbox note into their cold lunch at school, and this year decided to make a blank set of notes for when I just want to add my own personalized message. 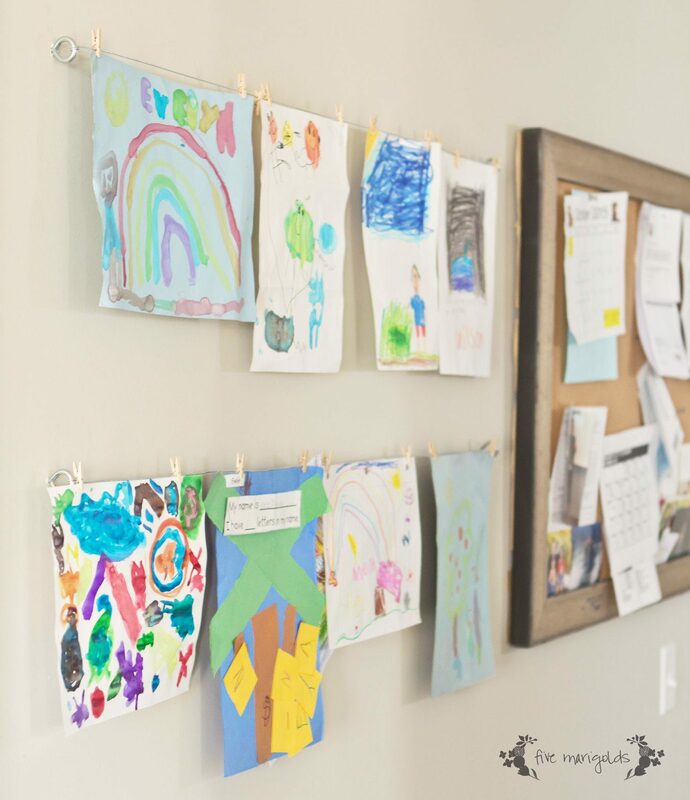 This is one of my favorite projects to date – also the easiest and least expensive: the children’s artwork display located in our Family Command Center – otherwise known as the mud room. 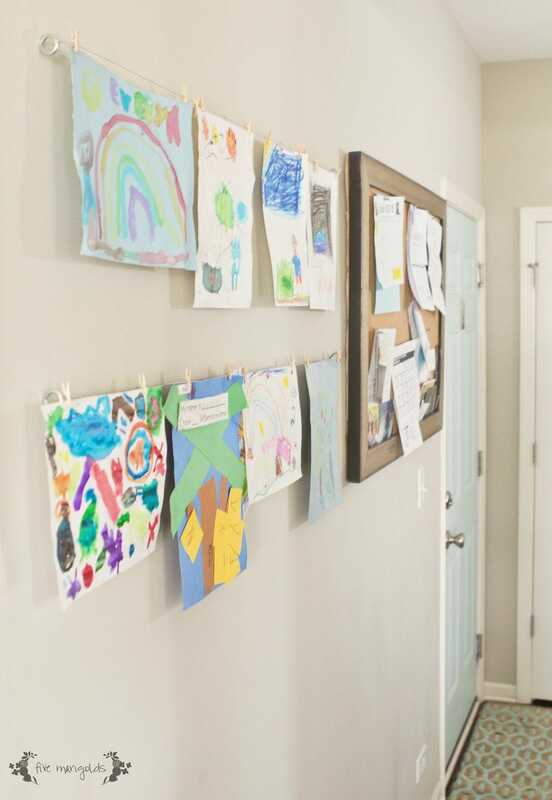 I wanted plenty of space where the children could hang their artwork and good grades with pride, without that messy cluttered look on the fridge. It also needed to be really flat to the wall, since the area I’d designated is in a space the width of a hallway. Buy these eye hook screws and wire at the hardware store for less than $5 total (or spend a few extra bucks and shop Amazon at the links above if you want to save a trip to the store). 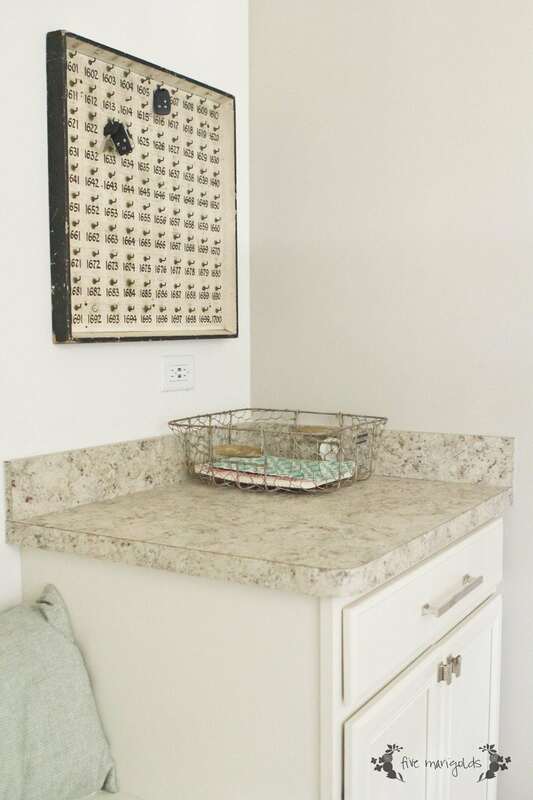 Drill holes into the wall where you want your eye hooks to go. 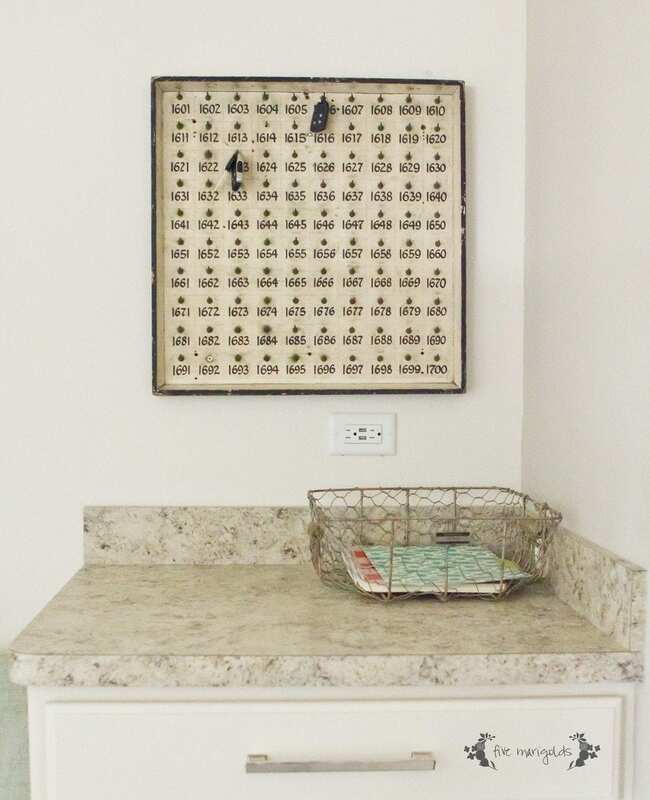 Screw the eye hooks into the wall by hand. Then, wrap your wire around one of the hooks a few times. Stretch it to the other eye hook, pulling and straightening as you go. Wrap it around that eye hook 2-3 times and cut the wire. I already had these cute little inexpensive clips on hand, leftover from Eve’s party favors.They work great for holding the various art and school papers the kids bring home. Voila! Children’s art center complete in 20 minutes and for less than $5. As for the rest of our family mud room command center, it’s still a work in progress. I have dreams for this space! I found that sign at the thrift store. I think it was from a hotel long ago. I just love it! What do you think of my low-tech art center for the kids? *Please read the affiliate disclaimer on the right sidebar. Thank you for your support! We’re gearing up for Back to School around here, which is why I was thrilled when BzzAgent recently sent me two free boxes of their new Chewy Girl Scouts Thin Mint granola bars. Talk about a beautiful marriage of foods! Each year we buy Thin Mints in bulk and hoard them until the next cookie selling season, so I’m thrilled to start seeing Thin Mint flavored goodies popping up in the grocery store year-round. BzzAgent is an organization that works with brands and provides its ambassadors with samples and coupons in exchange for trying products, sharing their honest opinion, and spreading the word. In this case, the task is easy, because these granola bars are super yummy and kid-approved. When Dub took his first bite he proclaimed it “Ahh–mazing” and asked if he could have it as his lunchbox treat at school. No problem! 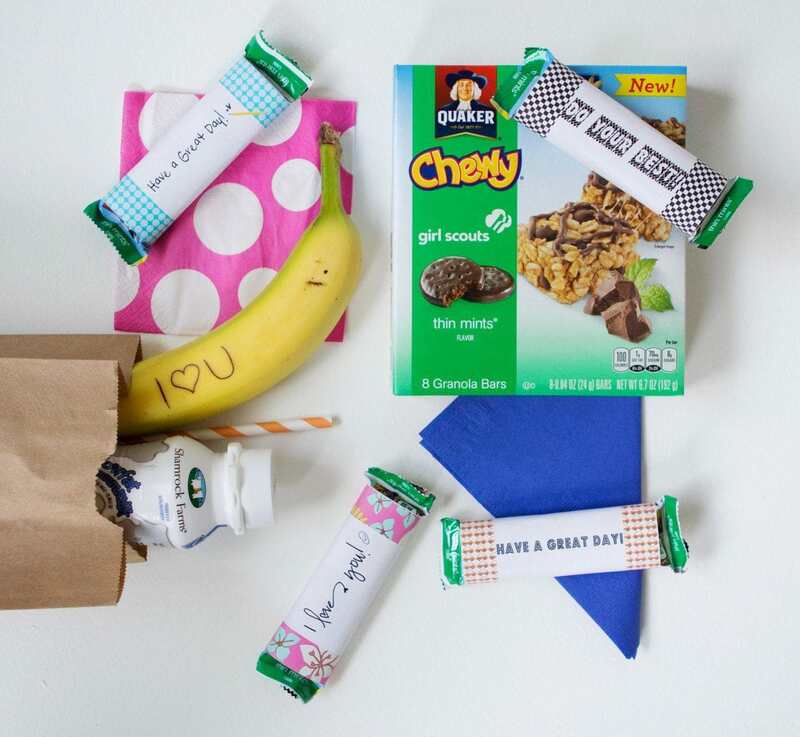 I love to slip little notes and jokes into his lunchbox daily to let him know I’m thinking of him, so I made a few super simple granola bar wraps to add a special touch to his treat. Of course, I couldn’t leave Evelyn out so I made a couple of girly-girl wraps as well. Want to try these granola bars for yourself? They can find at your local grocery store. Want the wrappers for your kid’s lunchbox? Click here to download your free granola bar wrap printable! Dub just loves clever jokes and puns. When I asked him what he most wanted me to pack in his lunch box for his first day of school, he told me he wanted a Minecraft joke. 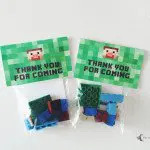 There aren’t many options out there for Minecraft lunchbox printables, so I created one on me own, and today I’m sharing it with my subscribers! Q: How does Steve chop down trees with his fists? 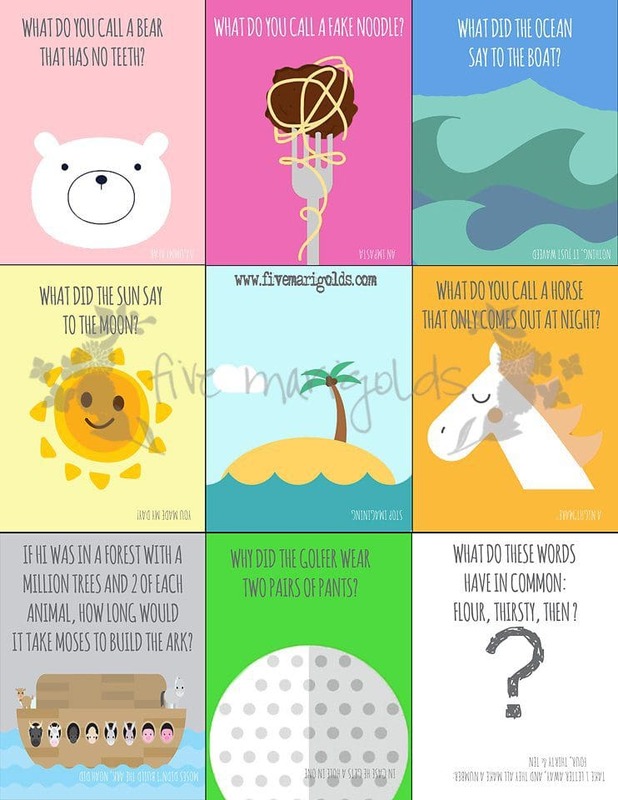 A: How wood I know? Q: Have you heard of the creeper who went to a party? A: He had a blast! Q. What is a cobblestone’s favorite music? 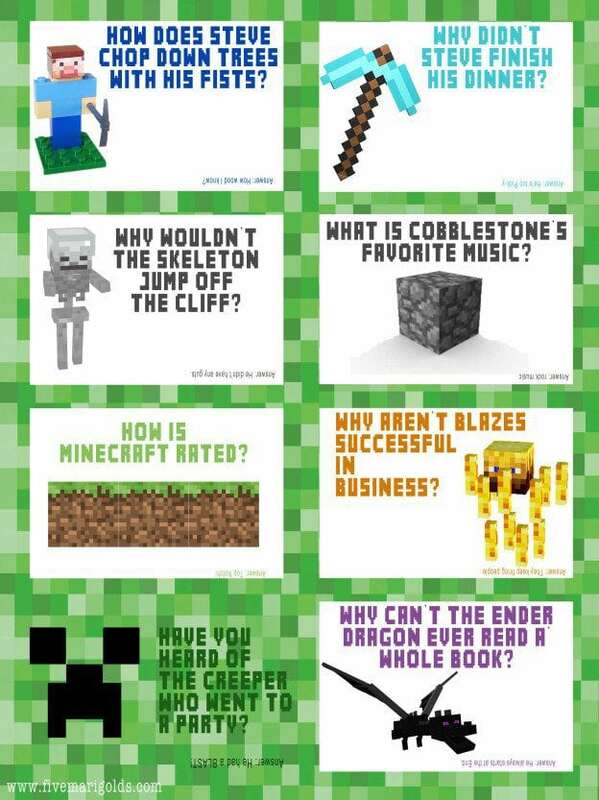 Okay, okay, even if you don’t get these punny jokes, your little Minecraft lovers will. 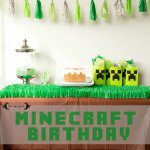 Just click the above image or here for your free Minecraft lunchbox jokes freebie. Want to see more like these? Let me know in the comments below! What do you think? 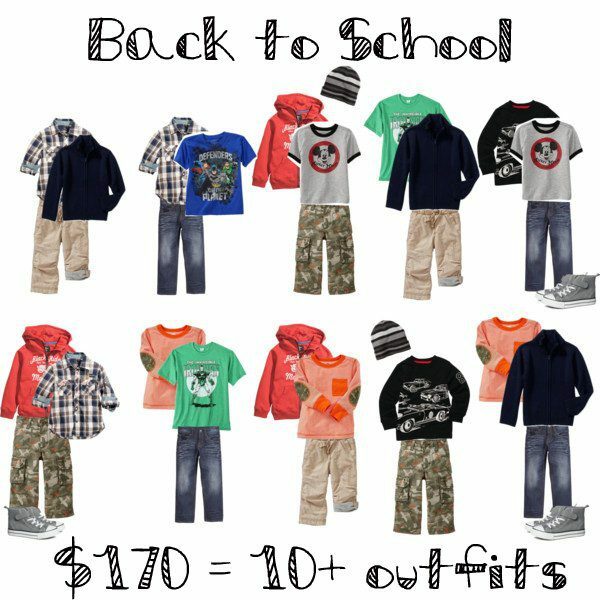 Do you shop sales early for back to school season, or do you wait for the fall sales? * In addition to being featured in the fabulous blogs buttoned up in the right sidebar, this post was also linked up at The Scoop and The Turquoise Home. *This post contains some affiliate links. Please see my affiliate disclosure in the sidebar. 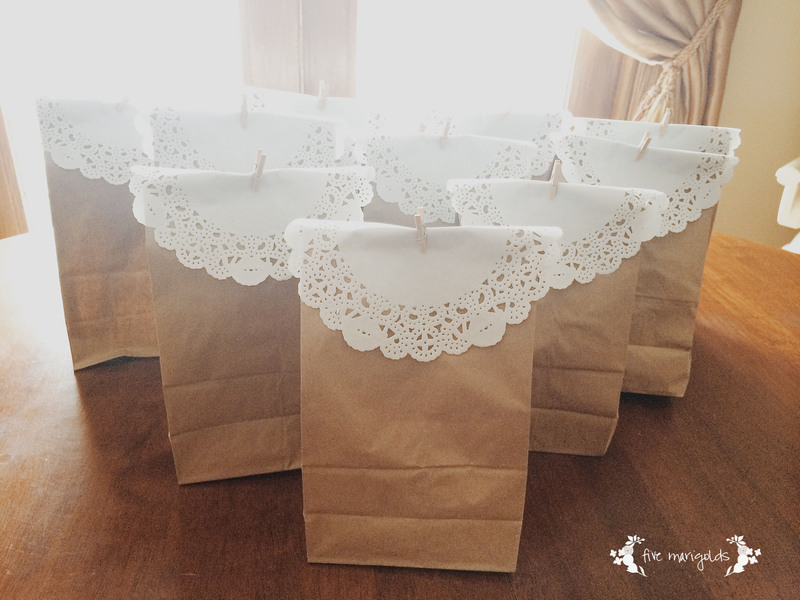 Dress up a common paper lunch bag to be something extra special! 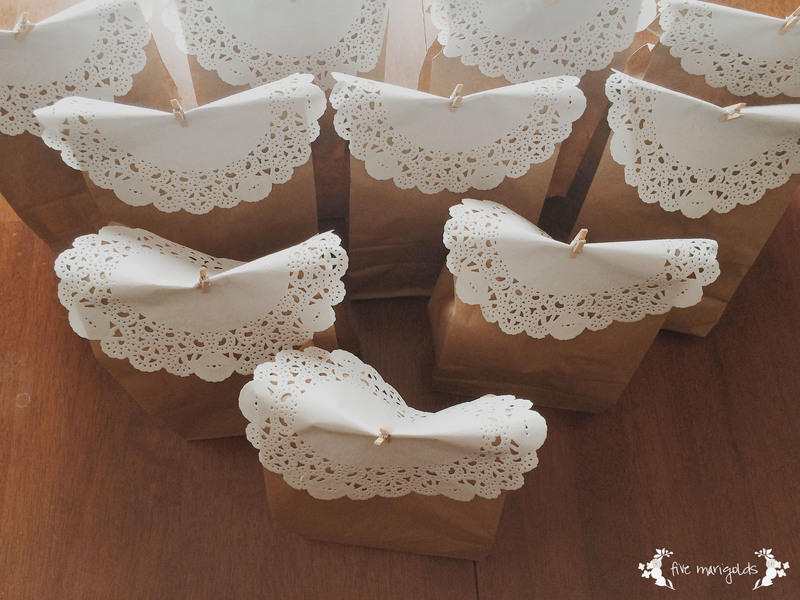 EClaire needed to take favor bags to school for her half birthday (summer birthday problems!). I had a few awkwardly shaped items so I needed a decent-sized bag, but I didn’t want to spend much. 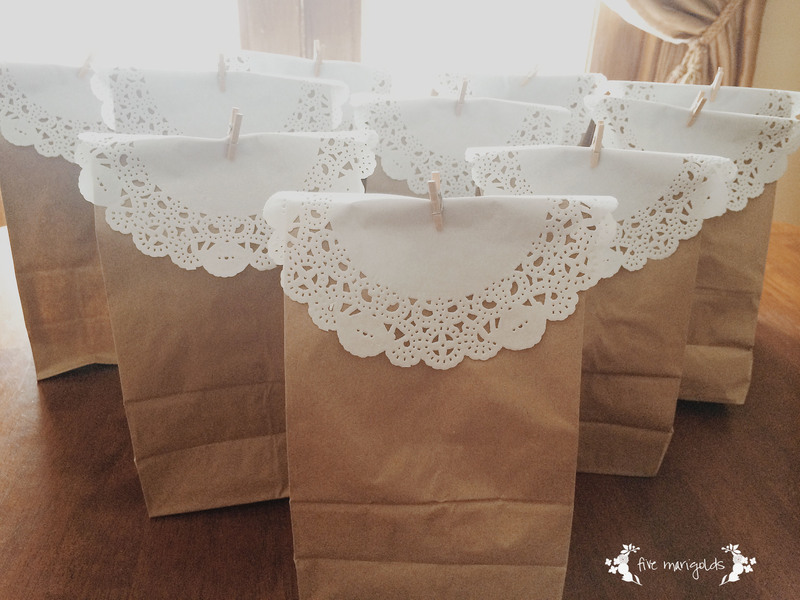 As usual, I headed to the Dollar Tree fro some paper lunch bags and doilies. Then, I secured them with these tiny craft clothespins that you can get at Hobby Lobby or here on Amazon. I love how these turned out, and you can make 40 for just $6. 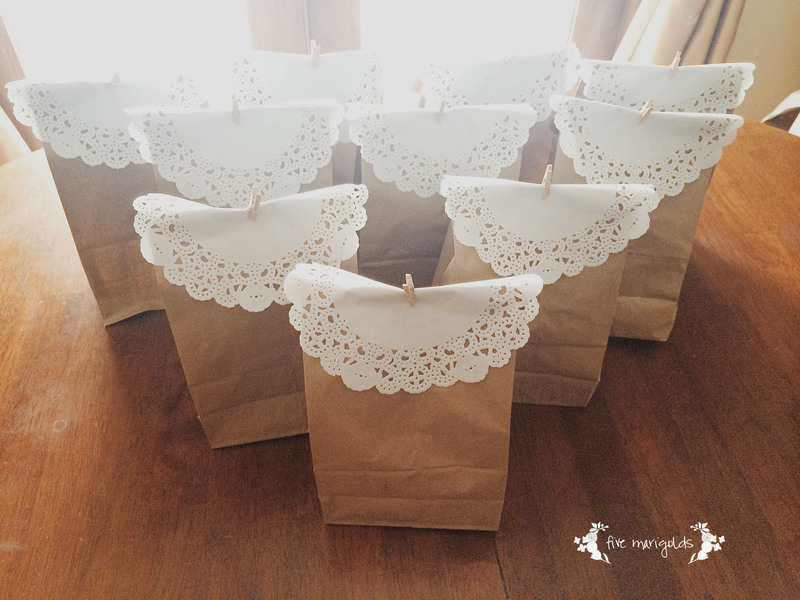 Next time, I love the idea of trying these for birthday party favors with colorful doilies and clothespins. 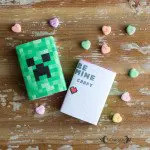 These would be great for Valentines, Birthday parties or even for quick and easy gift wrap for small gifts. UPDATE: Find my updated Back to school wardrobe for boys here and here. Since this is an older post and continues to get a lot of Pinterest traffic, I do my best to link to similar items from this set, below. Thanks for stopping by! Little Dub is going to be in kindergarten this year. He’ll be going full days, every day. I have to admit I’m a little nervous for him – it will be a huge change, but one that I think will be good for him. He will be wearing a uniform this year which is pretty uninspiring fashion-wise, but I was pretty happy when I scored his full wardrobe during the Old Navy uniform sale for only around $110! Even though Dub will be in uniform, I had fun laying out a back to school wardrobe for boys. My goal was to put together a minimum of 10 outfits for $150. I failed – mostly because the pants alone accounted for around $60 of the budget. 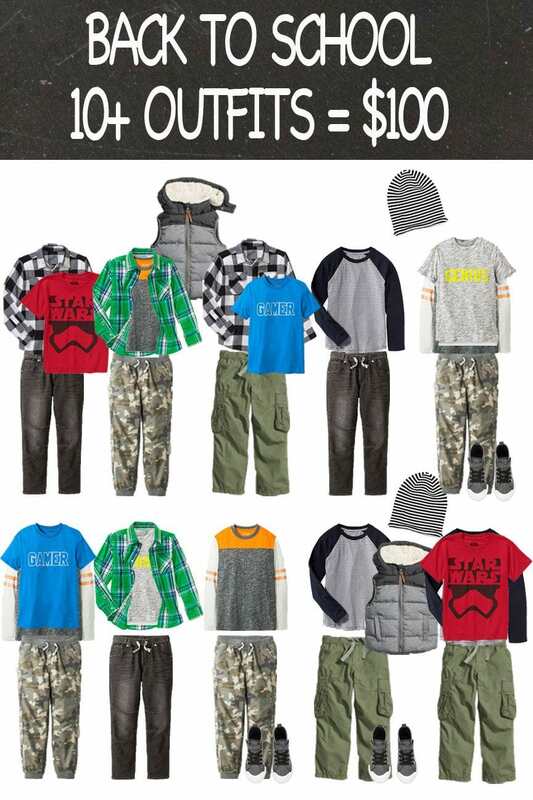 However, if you chose a less expensive brand for the pants and denim this set would be much closer to $150. 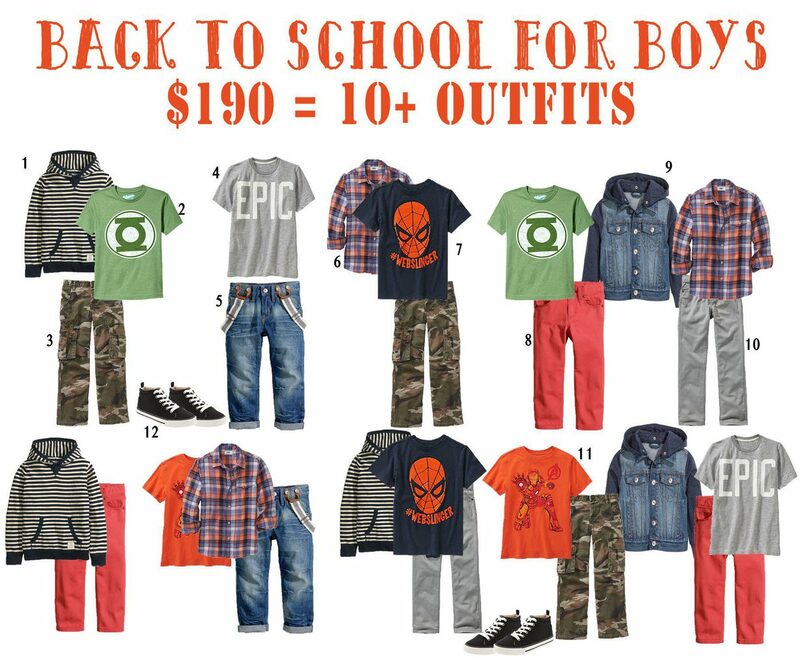 Where are you finding the best wardrobe staples for boys this fall? Hi, I'm Rochelle! I try to find beauty in everyday moments. I do that through DIY , entertaining, photography...and sharing cool things I find along the way. I live in Chicagoland with my favorite peeps.